Let me hear a shout from all of the teachers already back in school?!? My hat is off to you guys. I still have a few more weeks and my pile of work is growing by the second. As a matter of fact, I was in my room today making some pretty major changes. Can't wait to show y'all the final reveal! Many of you watched my Unlock the Magic Periscope last week, and I had a BIG request that I post that video and info here on my blog. I am so excited about this little reward system that I created, after years of watching The Price is Right, and can't wait to use it with my kiddos this year! Check out the video below. It is only about 12 minutes and will give you all of the details about my lock system. This is super easy to create and use. In short, the kids will earn keys throughout the month for different behaviors and achievements. 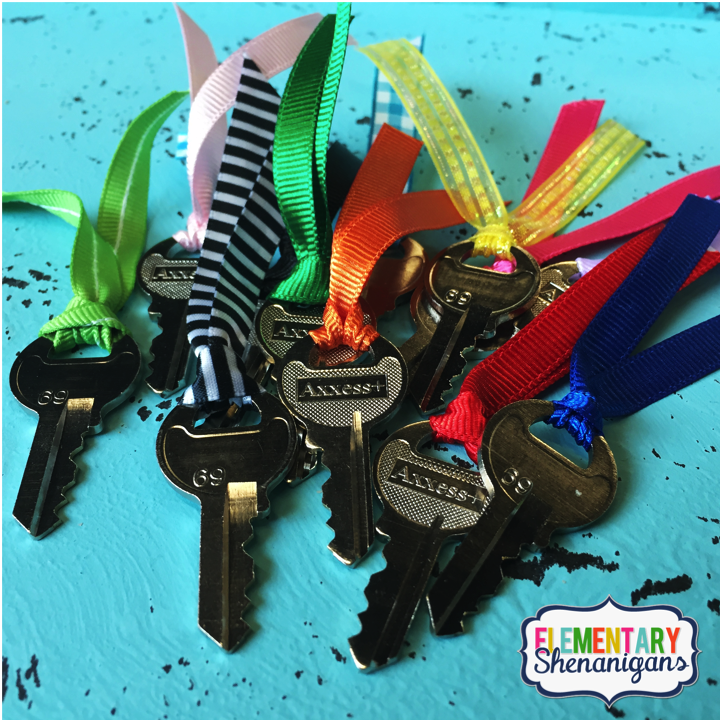 At the end of each month, we will have a key ceremony where the students will receive their actual key and have a chance at unlocking their lock. If that lock opens, they get to attend that months reward trip. 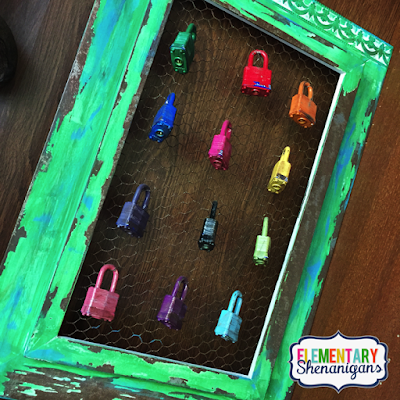 In the video, I gave tons of suggestions for how to recreate this project. The keys can be a little tricky...so pay close attention to that part. And remember...reward trips do not have to be super expensive, but it is a great way to build relationships with your students outside the four walls of your classroom. If you can make it work...I HIGHLY recommend it. Watch the video for some ideas of inexpensive reward trips! This is where I house all of my keys. 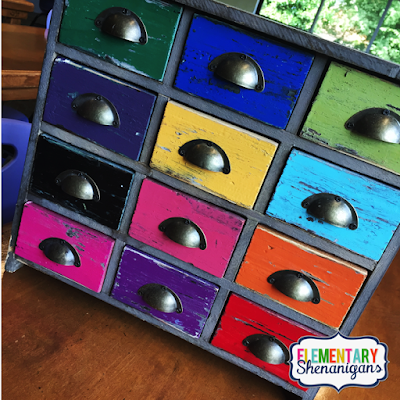 It is simply a cute storage container from Hobby Lobby that I painted to match my locks. That's it y'all! That's really it. 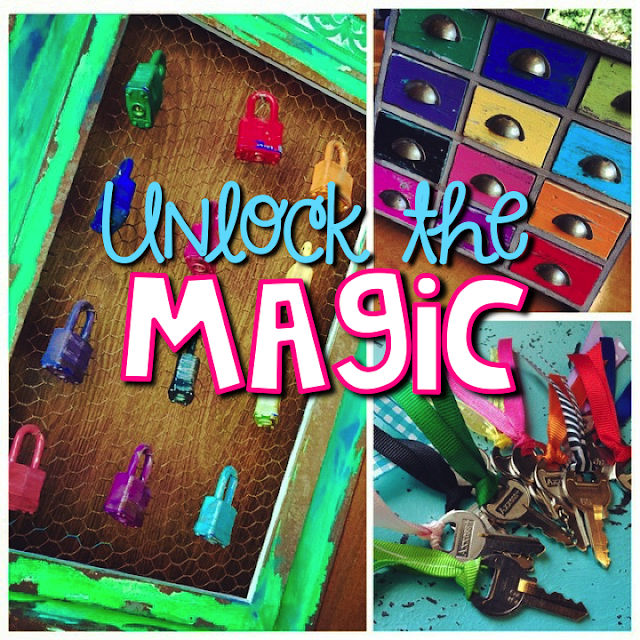 How will you unlock the magic in your classroom this year? This is really great. I want you to know that you are my real-life teaching hero. Corny, okay but you are so inspiring. I love the way you make connections with your kids. Happy School "New Year"! About how much did the locks/keys cost? I just finished mine!! I am in love! Are you going to post your clipart keys that you will give the students?